Hospitals • Schools • Manufacturing • UID • RFID • Access Control & More! Sharon Osterholt is your personal Tarpon Print Solutions, Inc. I.D. Plates & Labels Representative. Please contact me for more information, samples, custom sizes, special pricing or to schedule an appointment. We offer the most durable Barcode products on the market! Our Metal and Foil barcodes can be treated for a 20 year outdoor life. Special printing protects and ensures barcode readability for a better, longer lasting product! These are great for assets, sales & service labels, equipment I.D. and more! If you want the right adhesive for your work environment, stick with us. Our assortment of special adhesives are perfect for all surfaces - rough, smooth, curved, oily, metal or plastic! For improved materials, increased options and ultimate convenience... we deliver! Now you can print your own RFID tags! Essentially the same as our UM RFID Asset Tag - but reconfigured so you can reap the benefits of onsite printing! 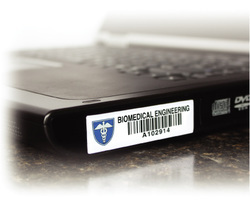 The Onsite Printable UM RFID tag is a surface-independent tag that uses a patented inlay design and passive RFID technology to obtain excellent read ranges regardless of the surface – metal, plastic, even wood. This unique inlay adheres to a thermal transfer print-receptive substrate constructed from paper or polyester. Along with the the US RFID Asset Tag, UM RFID Asset Tag and UStandard RFID Hard Tag, these products make up a revolutionary product line that allows you to use only one RFID tag for your asset tracking application. 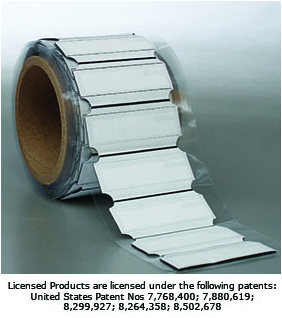 Just what makes our RFID labels and RFID tags superior to other RFID labels and RFID tags? Durability and reusability. We designed every one of our RFID labels and RFID tags to withstand repeated usage in tough environments. Repeated usage drives down the cost per read, which in turn generates a greater ROI.Why are these tags so durable? Every one of our RFID labels and RFID tags utilizes a construction that encapsulates the RFID inlay within the layers of the label - protecting it from environmental conditions that could affect its performance. This RFID Windshield Tag utilizes passive RFID technology offering a more economical option to the active windshield tags available. This product provides a read range of up to 18+ feet. 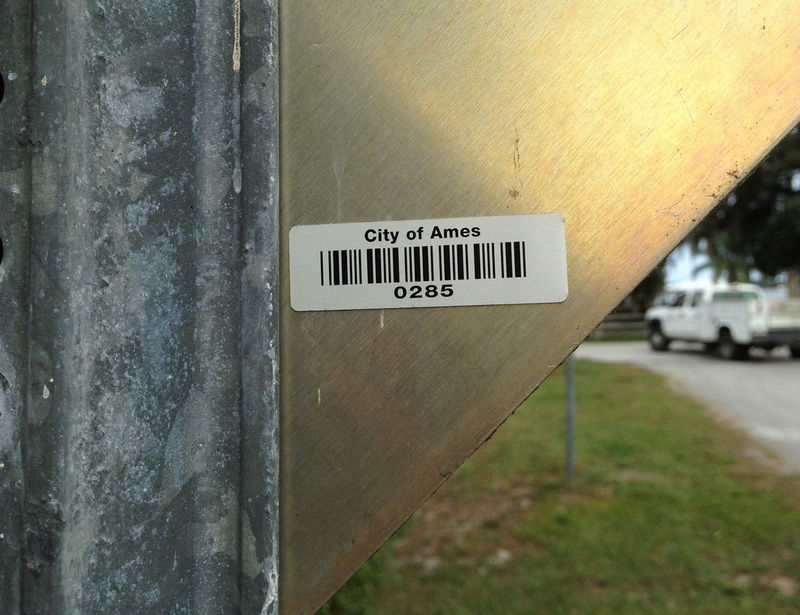 Use our Aluminu Bar code tags to track and identify your traffic signs. The durable aluminum will last the life of the sign. UID is a standard for the Department of Defense (DoD) mandating a new globally unique "part identifier" containing data elements used to track items throughout their lifecycle. Items may be classified into the categories of equipment, reparables, material and consumables. We have experience working with the UID spec and can customize a solution for you. It is a product you know will last.